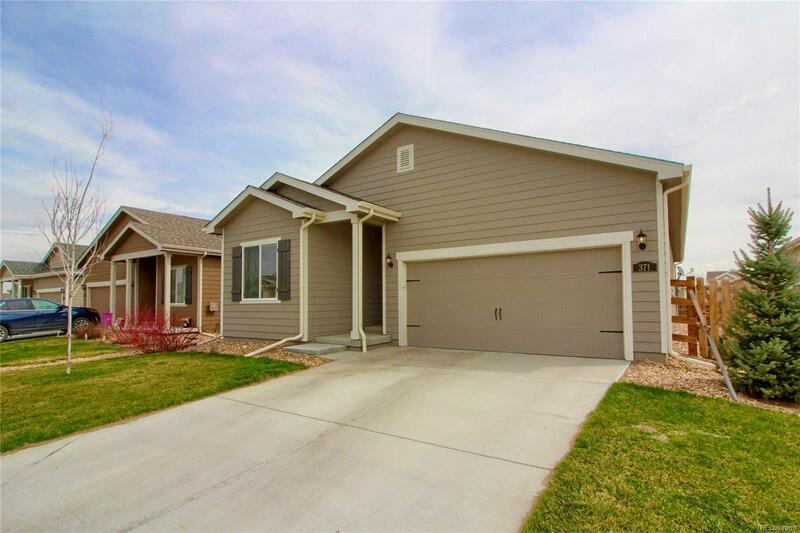 Welcome to this beautiful ranch home in Blue Lake Subdivision. You will love the open floor plan and large windows throughout! The family room provides plenty of space to entertain and opens to the kitchen which features a large pantry, gas range/oven, double sink and built in microwave. The en-suite master bedroom includes a large master bath, shower and walk in closet. Down the hall are two more bedrooms and another full bathroom. The laundry room also serves as a mud room and is adjacent to the two car attached garage. Step into the backyard and enjoy the fenced back yard with family and friends. The HOA has a low monthly fee of $25, which includes common areas and the neighborhood park only 1/2 block away. You will love it all!